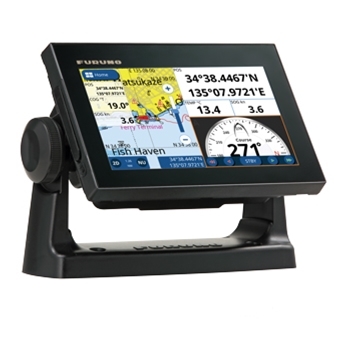 The GP-1871F from Furuno offers a 7” customizable touch screen with slide out menus. Simple to operate, this powerful combination unit comes with an internal GPS antenna, is compatible with C-MAP 4D Charts, and includes true 1kw CHIRP sonar with accu-fish and bottom discrimination. A TruEcho CHIRP Sonar along with ACCU-Fish and Bottom Discrimination come standard in the GP1871 and will provide unmatched sonar capability when paired with the proper transducer. TruEcho CHIRP helps in distinguishing and identifying individual game fish and bait fish even when close together. ACCU-Fish processing combines high and low frequencies and can simply and clearly assist in determining fish size from 4" - 6' and can start as low as 7' of water to over 300' of water. ACCU-Fish also includes icons that can be customized according to size and depth of targeted fish. It doesn't stop there though, the GP1871 also includes Bottom Discrimination which can distinguish and provide a graphical display of the seafloor whether it be mud, sand, gravel or rock! Unmatched in features the GP1871F is a top choice for anglers everywhere! 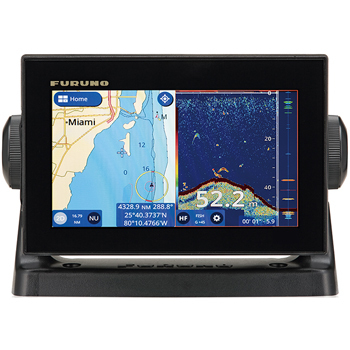 Furuno B285HW High Frequency Wide Beam Bronze Thru-Hull CHIRP 1000 Watt Transducer with high-speed fairing block is perfect for inboard boats looking to take advantage of Furuno's high quality CHIRP fishfinder. Depth and Temp. Furuno TM185HW High Frequency Wide Cone Angle Plastic Transom Mount CHIRP 1000 Watt Transducer is perfect for outboard boats looking to take advantage of Furuno's high quality CHIRP fishfinder. Depth and Temp. The Furuno B175M Medium Frequency 0° Bronze Thru-Hull CHIRP 1000 Watt Transducer is a great option for any boater looking to mark bottom, fish or bait in deeper water. Designed for boats with a deadrise under 7°. Flush Mount, Medium Frequency with temperature sensor. The Furuno B175M Medium Frequency 12° Bronze Thru-Hull CHIRP 1000 Watt Transducer is a great option for any boater looking to mark bottom, fish or bait in deeper water. Designed for boats with a deadrise from 8° to 16°. Flush Mount, Medium Frequency with temperature sensor. The Furuno B175H High Frequency 0° Bronze Thru-Hull CHIRP 1000 Watt Transducer is a great option for any boater looking to mark bottom, fish or bait in deeper water. Designed for boats with a deadrise under 7°. Flush Mount, High Frequency with temperature sensor. The Furuno B175HW High Frequency 0° Bronze Thru-Hull CHIRP 1000 Watt Wide Cone Transducer is a great option for any boater looking to mark bottom, fish or bait in deeper water. The Wide Cone transducers provide a much wider area of coverage under your boat making this an ideal transducer for pelagic fisherman. Designed for boats with a deadrise under 7°. Flush Mount, High Frequency with temperature sensor. The Furuno B175HW/12 High Frequency 12° Bronze Thru-Hull CHIRP 1000 Watt Wide Cone Transducer is a great option for any boater looking to mark bottom, fish or bait in deeper water. The Wide Cone transducers provide a much wider area of coverage under your boat making this an ideal transducer for pelagic fisherman. Designed for boats with a deadrise from 8 to 16°. Flush Mount, High Frequency with temperature sensor. 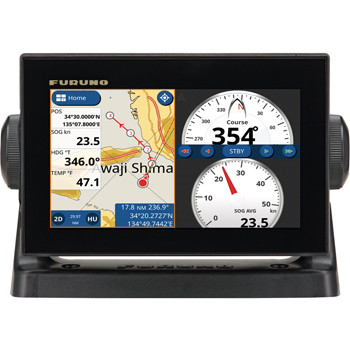 The Furuno GP1871F C-Map 4D Bundle includes the standard Furuno GP1871F package with your choice of one C-Map 4D Full.